How do you get people to watch Breaking Bad? AMC would sure like to know! How do you rally the public against the Dish Network? AMC would sure like to know that too! (The companies are currently embroiled in a heated lawsuit, with Dish ready to drop AMC come June 30.) 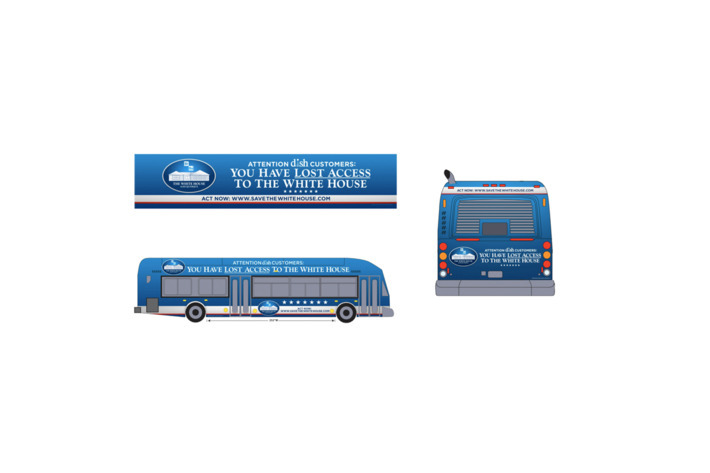 How about through a willfully obfuscating campaign of bus ads warning us that we’ve “lost access” to the White house? That’s lowercase-H house — as in the house where Walter White lives.